NAGAD NARAYAN FOODS INTERNATIONAL PVT. 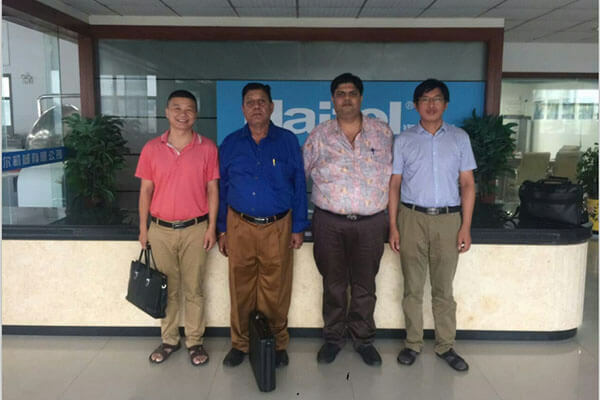 LTD. From India has visited Haitel on August 14, 2016 to discuss buy our hard candy depositing line and other candy forming machines and packing machines. NAGAD NARAYAN FOODS is a very big company in India. They have hard candy line, lollipop line, jelly candy line, gum line, biscuit line, etc. They will come after two days to discuss more details about the machines they required.